Articles on writing, memoirs, fiction, agents, etc. President of PEN International and author of Gun Love, Jennifer Clement explores the role of literature that tackles difficult stories. "​J.M. Coetzee’s clear-eyed, informative essays about fiction examine the relationship of the author with their published work. Ever since you've read your first comic books, you were fascinated with them. 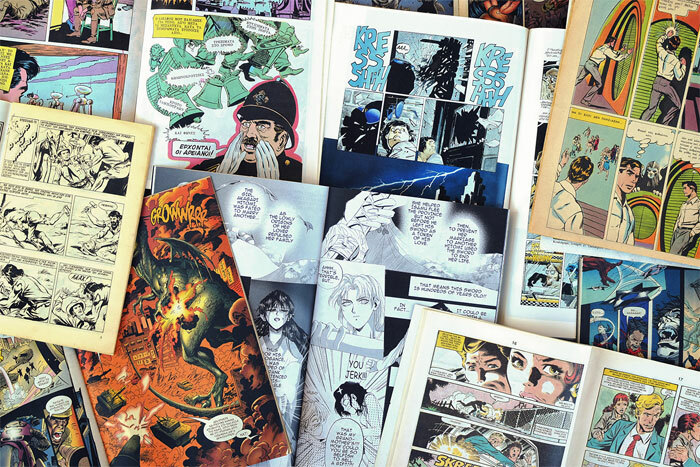 And if you've got an artistic background you might have asked yourself how to make a comic book. "​What can we say? We messed up. Our list of "80 Books Every Man Should Read," published several years ago, was rightfully called out for its lack of diversity in both authors and titles. So we invited eight female literary powerhouses, from Michiko Kakutani to Anna Holmes to Roxane Gay, to help us create a new list. Each participant made 10 picks. It's a new year, a new Esquire.com. We're looking forward to reading and we hope you are, too. "​Meera Lee Patel, author of My Friend Fear, knows that you must take fear by the hand. Here, she shares three fears that can inspire writers. "THE OAKLAND apartment of Martha Mueller and her daughter, Nora, teems with books and magazines. Their library consists of fiction and nonfiction books, cookbooks and teen novels. Martha, a librarian, says she'll read just about anything. "It can be the subject matter that attracts me or that perfectly written first sentence," she says. She comprehends what she reads, too. Ask for her thoughts on the Millennium Trilogy by Swedish writer Stieg Larsson, for example, and she'll weave a tale about how the books, while interesting reads, seem overly violent. The main character is a victim, she says, and a sad one at that. "An unread book is all possible stories. It contains all possible characters, styles, genres, turns of phrase, metaphors, speech patterns, and profound life-changing revelations. An unread book exists only in the primordial soup of your imagination, and there it can evolve into any story you like. An unread book – any unread book – could change your life. "When the sum total of human knowledge rests an arm's length away in each person's pocket, why do we have to remember anything anymore? On an average day most of us check our smartphones 47 times, and nearly double that if we're between the ages of 18 and 24, which might explain why some of us have such a hard time processing the information we take in to form memories. Smartphones alter the way we walk, talk and think, and we're barely keeping up. 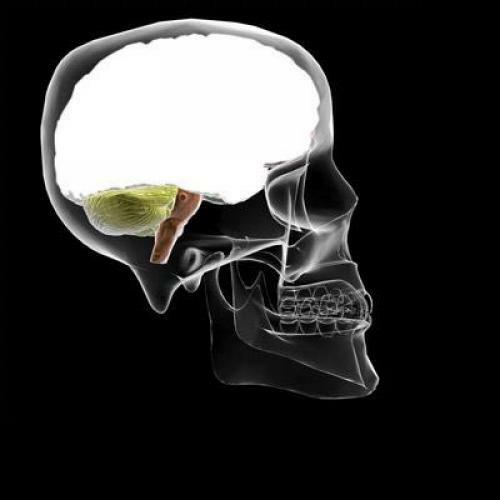 "​Our brains are wired to confuse the real and the symbolic. And the implications can be as serious as war and peace. "​A literary manifesto for the ages by Rebecca West, 1915. "​Catalog data are a library's most important map to knowledge. 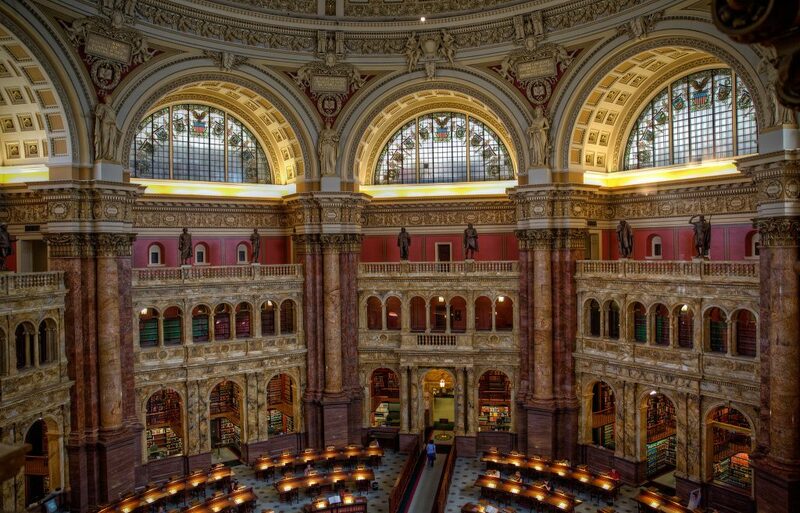 What does it mean that the Library of Congress just released 25 million records to the public? 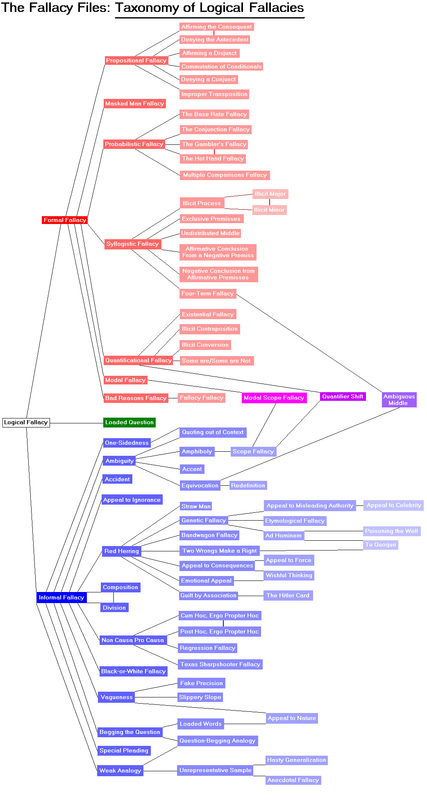 "​A taxonomy of all of the logical fallacies listed in the Fallacy Files, based upon the subfallacy relationship. Linguistic: Those that depend on language. Non-linguistic: Those that do not depend on language. Subsequent logicians have usually extended Aristotle's classification by subdividing the second, non-linguistic, category into sub-categories―for instance, fallacies of relevance and fallacies of presumption. However, most such classifications have remained relatively "flat", with all fallacies on the same level. Unfortunately, a flat classification does not do justice to the complexity of the logical relations between different fallacies. "It must be obvious to anyone who has been following this series that I have an unabashed affection for the old guard of book publishing—and an endless appetite for their insights, their war stories, and their wisdom. But after a year in which "change" of one kind or another was never far from anybody's thoughts, it occurred to me that the series could use a shake-up. Why not give the graybeards a breather and talk with some younger agents and editors? And while I was at it, wouldn't it be more valuable to writers if I could get a few drinks in them first? "​How to find a literary agent. Read this guide to getting a literary agent written by a published author and former literary agent. 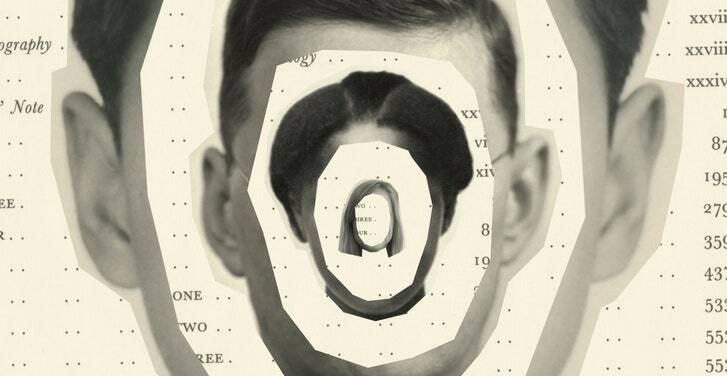 Junot talks about the impact of assault at eight, on his writing and life.